Seven months before ICE Europe 2011 opens its doors from 8-10 November 2011 at its new show grounds, Munich Trade Fair Centre, the exhibition is set to build upon the huge success of the previous event. To date, 320 exhibitors from 20 countries have already booked their stand space. In comparison, ICE Europe 2009 featured a total of 330 exhibitors from 21 countries; and with 5,350 visitors from 63 countries, the show was the biggest ever. 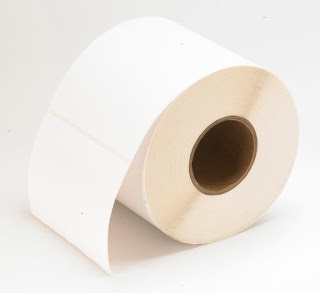 During the previous show, the paper, film and foil converting industry could already feel the first signs of an upwards trend after the global economic crisis. Today, the converting sector is well positioned again, compared with other industry sectors; however, it has to continuously face new challenges. It is important to recognise trends early enough in order to be competitive on a global scale with innovative solutions and targeted products. “Shortage of raw materials and increasing energy costs are currently influencing the manufacturing processes; film and paper packaging has to comply at the same time with environmental regulations and with health and safety standards; and regarding export opportunities, we see that markets are continuously shifting,” explains Nicola Hamann, Exhibition Director ICE Europe, on behalf of the organisers Mack Brooks Exhibitions. “The leading international trade show for the converting industry, ICE Europe, is this year’s key platform for everyone involved in the converting of flexible web materials. The exhibition will give a comprehensive overview on the latest industry trends and technical innovations. From the first information we have received from our exhibitors about their products and services on display at ICE Europe 2011, we know that visitors will be able to discover a wide spectrum of cutting-edge technology and practical solutions. This year’s main topics will focus on new materials, sustainable production as well as enhanced manufacturing and control processes,” says Nicola Hamann. A large number of the new and enhanced products and systems will be demonstrated live at the exhibition. Exhibitors at ICE Europe 2011 have already booked 15% more stand space than the total exhibition space in 2009; visitors can therefore look forward to seeing even more live machines on display than ever before. “With the new venue for ICE Europe 2011, the Munich Trade Fair Centre, we have found the ideal exhibition site for the leading international exhibition for the converting industry. The show grounds have an excellent infrastructure and the modern exhibition halls are tailor-made for machinery shows,” explains Nicola Hamann. ICE Europe 2011 will take place in halls B5 and B6 of the Munich Trade Fair Centre, accessible via entrance East which is directly connected to Munich’s underground railway system. The trade fair centre can easily be reached from the city centre as well as from the international airport. During the exhibition there will be a regular shuttle-bus connection between the trade fair centre and the airport. 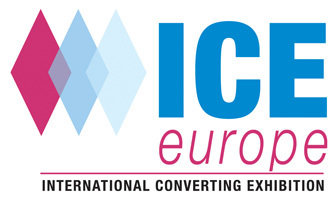 The exhibition profile of ICE Europe 2011 includes machines, accessories and systems for coating and laminating, drying/curing, treatment, slitting/rewinding and finishing. For this year’s show, the range of exhibits has been extended to include flexographic / rotogravure printing to complete the exhibition profile. Materials, software, retrofits, factory equipment as well as consulting and toll converting services will also be on display. Due to the continued raw material cost pressure Flint Group has to further increase prices of all packaging and narrow web inks in North America effective 1 May 2011. In light of the repetitive and continuing raw material cost increases since January, it is necessary to increase the price of inks and coatings. Water and solvent based products will increase 8%, with the exception of white which increases 10%. All energy cured products will increase 5%. Violet 23 continues to be in short supply with rising costs. 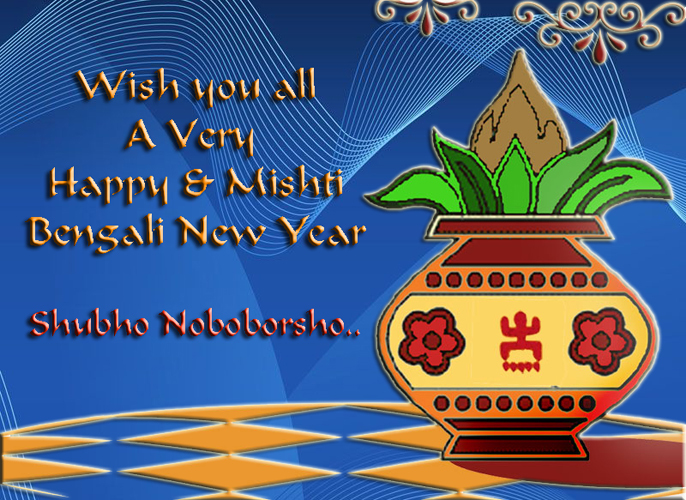 It will be addressed on a customer by customer basis. We will continue to communicate with our customers individually regarding the overall impact of the price increases on their specific product portfolio. The ink industry has found the last two years, and particularly the last six months, very challenging. Material shortages, government policies, environmental concerns, decreased feedstock availability, and competition from other industries for available materials have come together to push costs to unprecedented levels. 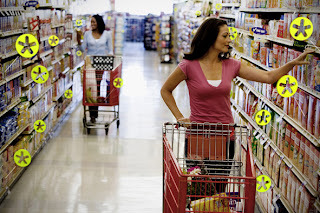 Susan Kuchta, vice president North American Packaging and Narrow Web commented, "Raw materials increased significantly in the last half of 2010, again in January 2011, and still again in the last 30 days. During the last few months we have seen multiple increases on individual items and continuing tight supply. 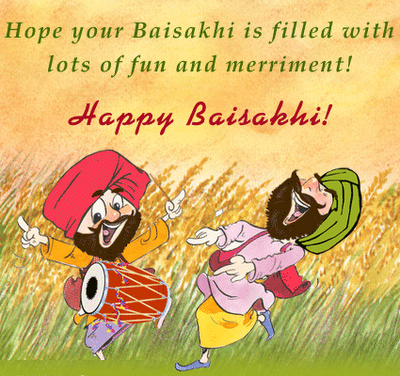 Our first responsibility to our customers is to focus on continuity of supply and to produce high quality products. We have worked closely in the past, and will continue to work closely in the future, with our customers as we minimize the impact of these increases with alternative raw materials, replacement products where relevant and our ongoing focus on productivity and cost containment initiatives." EskoArtwork will present its portfolio of integrated packaging design, pre-production, collaboration and workflow automation solutions at Interpack 2011, which takes place at the Messe Dusseldorf, Germany from 12 to 18 May, 2011. Packaging professionals and brand owners visiting the show will get the opportunity to understand why EskoArtwork has become the worldwide market leader in packaging design lifecycle management solutions. Faster time-to-market, increased shelf impact, reduced costs and streamlined communication between all players in the packaging supply chain are just some of the competitive advantages. EskoArtwork will exhibit in Hall 7a / B28, just in front of the Innovation Parc Packaging stand. At the beginning of the process, EskoArtwork’s design tools enable packaging designers to work in a 3D environment. Creative packaging ideas are shared with clients early in the process using 3D collaboration tools. These allow them to gain feedback quickly and effectively. And because of the close integration of structural and graphic design, changes at any point in the design process can be viewed on the final structure in complete 3D. Virtual mock-ups are communicated the same way saving both time and the costs of expensive physical prototypes. All these features help to get to the right design quality faster. They reduce the development time and cost for the brand owner drastically. WebCenter: a 24/7 global communication, secure internet-based view and approval service that allows information to be stored centrally and shared globally. Dynamic Content for Adobe Illustrator: links an Adobe Illustrator CS text object directly to a source created by the information owner and separates it from the design. Studio: a plug-in for Adobe Illustrator that brings interactive 3D packaging design to life. Studio Visualizer that creates realistic digital mock-ups including print effects such as embossing, hotfoil, metalized inks and different substrates. 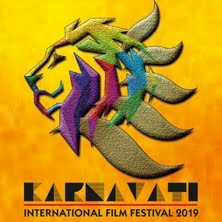 EskoArtwork is a global supplier of integrated solutions for packaging, sign and display finishing, commercial printing and professional publishing. Its products and services help customers raise productivity, reduce time-to-market, lower costs and expand business. EskoArtwork is the worldwide market leader with software for artwork creation, pre-production, automation, quality assurance and collaboration targeted at brand owners, retailers, designers and packaging manufacturers. The CDI flexo computer-to-plate imagers, Kongsberg short-run converting and signage finishing systems complete the portfolio for the packaging, label, signage and display industries. The company provides a range of workflow, automation and quality assurance solutions for the commercial printing and publishing market. For graphic designers and print production professionals there’s also the Enfocus suite of PDF tools. The salaried employees’ two-week strike, which started in UPM’s operations in Finland from 6 April has ended on a good note albeit, without a resolution. Around 1,000 salaried employees working, among others, within production, supply chain, finance and HR participated in the strike. The Finnish Forest Industries Federation and the trade union Pro continued their negotiations led by the National Conciliator yesterday without a resolution. The negotiations will continue again on Tuesday 26 April. "The cost impact of the strike was around one million euros, which is smaller than anticipated. Thanks to large special arrangements and the flexibility of other employees we managed to secure our customer deliveries and keep production lines running except one paper machine at our Tervasaari mill. Unfortunately, resulting from the strike, delays in UPM’s payment traffic will continue for weeks," says Jyrki Ovaska, President of UPM’s Paper Business Group. Pro has announced that it is expanding the salaried paper industry employees’ strike to Stora Enso, Metsäliitto and Myllykoski Paper for a two-week period starting on Wednesday 27 April. The planned strike does not include UPM. Flint Group Flexographic Products announces price increases for printing plates.. The printing and packaging industry has had to withstand significant and constant pressure since the economic collapse at the end of 2008. De-stocking of raw materials to this industry has resulted in unprecedented raw material prices, while the price of energy continues to rise towards the record levels. Additionally the chemical industry has consolidated heavily in the last few years, limiting the available global capacities. Serious shortages and unrelenting cost increases are still evolving along with an increasing demand. These ongoing pressures are now beginning to severely impact on many of the raw materials used in the manufacture of Flint Group's plate manifold components. As a consequence of this, Flint Group Flexographic Products has now began the process of imposing price increases on average by 5% for nyloflex printing plates and by 10% for nyloprint printing plates, depending on the product type - with immediate effect. "We are aware that the printing industry is being exposed to a high cost pressure" explains Mario Busshoff, President Flint Group Flexographic Products, "and have been working hard to mitigate price increases through various cost containment initiatives, but now we have reached a point where we can no longer absorb the increases and need to adapt the prices for our printing plates." Mr. Busshoff concludes: "We will however continue to challenge our own processes and suppliers to keep the price adjustments as low as possible." Quality, reliability and service by Ritrama now in Colombia.. In line with the strategy of increasing market share in Latin America and strengthening its service network, Ritrama has opened a new slitting and logistics center, Ritrama Colombia. This investment evidences Ritrama’s attention to this market which will benefit from shorter delivery times and a wider range of products from our production centers in Europe and Chile, with the goal of offering solutions and an alternative to different local application needs. Ritrama Colombia is located in the strategic location of Medellin, capital of the Antioquia Department. This center will be managed by Mr. Cesar A. Cardona Vera, who has more than 14 years of experience in industrial sales, both locally and internationally, including working experience in the self-adhesive markets in segments such as lithography and flexography. Moreover, Ritrama Colombia will benefit from the direction by Mrs. Olga Lucia Botero, with a vast knowledge of self-adhesive materials gained from 16 years of working experience in Colombia and seven years in Central America as Managing Director of Ritrama Costa Rica and Ritrama Guatemala. 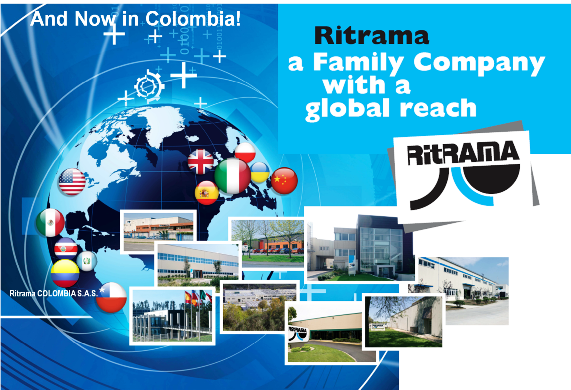 The new Ritrama Colombia, together with Ritrama Costa Rica, Ritrama Guatemala, Ritrama Mexico and Ritrama Chile, clearly confirm Ritrama’s expansion policy and growing interest in the Latin American markets. Our best wishes to them on this new business challenge. Phoenix Challenge high school flexo competition winners announced..
After two and a half days of competition at the 2011 International Phoenix Challenge High School Flexo Competition, first-place was awarded along with USD $1,000 scholarships to Sharon Mai and Chong Wang. The team is from Gordon Graydon Memorial Secondary School, Mississauga, Ontario, Canada. The duo was declared the winners of the 14th annual international competition which took place at the Harper National Flexographic Center at Central Piedmont Community College in Charlotte, North Carolina in early April. The scholarships are awarded to the top placing students, fulfilling the mission of the Phoenix Challenge Foundation. The Phoenix Challenge Foundation is an organization of industry professionals who are dedicated to encouraging today's youth in exploring the exciting career opportunities available to them through the Flexographic printing industry. Each year the Phoenix Challenge Foundation hosts its annual International High School Flexographic Skills Competition and hosts the Phoenix Challenge College competition for students in North America currently studying Flexography. The pair won the first place award by earning this year's highest combined scores in the contest's five exams: written knowledge, math, pre-press proficiency, press operation and platemaking. In addition to the two $1,000 Phoenix Challenge Foundation Scholarships, the winning team took home the 2011 Harper Flexo High School of the Year trophy cup, for display at its school. Other top students excelled in all aspects of the competition. Second place went to Li-Anne Chang and Elina Shafigu Lina, also from Gordon Graydon Memorial Secondary School. Third place went to Amber Peet and Monica Manalo of Bergen County Technical School in New Jersey. The competition was stiff among top performers from all over North America. A total of thirteen teams participated, which has grown year over year since the Phoenix Challenge high school program began back in 1998. Giovanni Canetta has been appointed as new managing director and CEO of the Treofan Group. Carlo Ranucci has stepped down from the position for personal reasons, after reaching an agreement with shareholders. Carlo Ranucci successfully managed the company through the crisis and was instrumental in restructuring it; under his leadership, the company has become the market leader in the global BOPP high-end market. Canetta has worked closely with Ranucci in the past two years as representative of management and capitali SpA, one of Treofan’s major shareholders. Xanté is pleased to announce that it has entered into an agreement with Straight Shooter Equipment Company, wherein Xanté will have exclusive worldwide distribution rights to the Xanté TL-30 Digital Envelope-Press Feeder, jointly developed by the two companies. The TL-30 easily integrates with Xanté’s popular Ilumina line of production-quality digital presses, and can also be used to feed substrates for UV coaters, folders, and cutters. The TL-30 boasts no wiring, mechanical latching or tray removal necessary; so customers can simply roll the TL-30 into place, add media and run. Major features also include an adjustable stand, buckle separation, re-positional feed belts, and a unique floating acceleration table for simple integration. 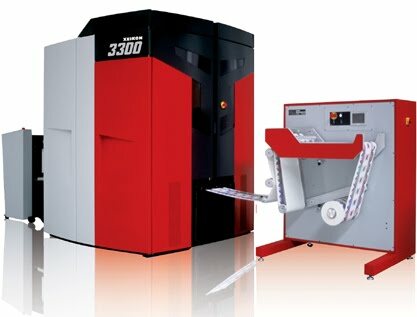 In addition to easily integrating with Xanté’s popular Ilumina line of production-quality digital presses, the TL-30 works with other laser printers, digital presses, folders, and UV coaters. H.B. Fuller Company announced today that it has completed the acquisition of the assets of privately held Liquamelt Corp., an Ohio based manufacturer and marketer of the patented Liquamelt(R) adhesive system. "Liquamelt is a unique adhesive system," says Jim Owens, president and chief executive officer. "This 'Cool on Delivery - Hot on Demand' technology is a new category of adhesives and will enable us to help our customers drive cost and complexity from their processes with technology that is based on sustainable and available raw materials. The acquisition of Liquamelt adhesive technology demonstrates our commitment to rapid innovation and new product delivery to the adhesives industry." Liquamelt adhesive is flowable at room temperature and combines with easy to use delivery equipment to create a fast-bonding, high-performing adhesive solution. It enables room temperature storage and handling of adhesive, where today traditional hot-melt tank and hose temperatures reach as high as 350 degrees Fahrenheit (180 degrees Celsius). Liquamelt adhesive contains greater than 40 percent renewable raw materials, allows for significant mileage improvements, and results in reduced overall energy consumption. This closed system is easy to maintain and remains free of contamination. Liquamelt Corp. currently employs eight people. In addition to the material and equipment patents, the principal assets acquired include equipment and inventory. The Liquamelt system is expected to generate less than $1 million in revenue in 2011. The financial results of this business will be included in the Company's North America operating segment. The Liquamelt adhesive system will be available exclusively from H.B. Fuller. The company will leverage its global market position and technical expertise to accelerate adoption of this new category of superior adhesive technology and add value to its customers' products and processes. For nearly 125 years, H.B. Fuller has been a leading global adhesives provider focusing on perfecting adhesives, sealants, paints and other specialty chemical products to improve products and lives. Recognized for unmatched technical support and innovation, H.B. Fuller serves customers in packaging, hygiene, paper converting, general assembly, woodworking, construction and consumer businesses. To complement its full range of flexographic printing plates, Flint Group Flexographic Products introduces a new digital photopolymer printing plate, nyloflex FAM Digital, developed especially for wide web flexible packaging printing with solvent based inks. The medium hard digital plate prints exceptionally well on a wide variety of both absorbent and non-absorbent substrates, ranging from textured to very smooth surfaces. Due to its unique flexibility, nyloflex FAM Digital plates require a lower impression setting, resulting in sharper print results and lower dot gain as compared to traditional plates on the market of the same durometer range. nyloflex FAM Digital plates produce excellent print results in combination printing, as well as fine process detail. The new plates exhibit a long run life, without the need for frequent cleaning on press. nyloflex FAM Digital plates are currently offered in .045” and .067” thicknesses and are available in North America. Flint Group is dedicated to serving the global printing and packaging industry. The company develops, manufactures and markets an extensive portfolio of printing consumables, including: a vast range of conventional and energy curable inks and coatings for most offset, flexographic and gravure applications; pressroom chemicals, printing blankets and sleeves for offset printing; photopolymer printing plates and sleeves, plate-making equipment and flexographic sleeve systems; pigments and additives for use in inks and other colourant applications. With a strong customer focus, unmatched service and support, and superior products, Flint Group strives to provide exceptional value, consistent quality and continuous innovation to customers around the world. Atlas Converting Equipment Ltd. (UK) is pleased to confirm that it has recently completed the incorporation of its new USA based subsidiary, Atlas Converting North America, Inc., which has re-located to new premises in Charlotte, North Carolina following the company’s separation from Bobst Group in October of last year. The team in Charlotte will be responsible to the newly appointed General Manager, Mr. Thierry Fontolliet, formerly with Bobst Group Latin America (North) in Mexico City. Atlas Converting North America, Inc. will provide support in both sales and service activities for all Atlas & Titan slitter rewinder customers throughout the United States, Canada, Mexico and Central America which continue to be very important markets for the company. Mr. Brian Stiff will continue in his role as Sales Manager for the Atlas & Titan product range in this region, but will now be based at the Charlotte office rather than providing support from the Atlas head office in the UK. In the meantime, the company is also actively seeking new agents to represent its sales activities and provide a stronger marketing presence in this important region. Service Manager, Mr. Rick Howe will continue to be responsible for all service, spare parts & customer support operations at the company for all North & Central American customers. “The establishment of our new subsidiary in North America is a very positive step forward for the company and more especially for our customers,” commented Alan Johnson, Managing Director of the Atlas Group. “This has given us a strong platform for the company to further develop business and provide continued support in one of our most important markets,” he confirmed. FINAT/GIPEA Congress 2011 Programme now available..
Finat, the world wide association for self-adhesive label industry, discloses the detailed programme of its Congress 2011. The congress, organized in collaboration with GIPEA, the Italian label association is being held in Taormina, Sicily (Italy) from 8-11 June. At the congress there will be a handover of the presidency by the current president Andrea Vimercati. "In today's fast moving global business environment, rapid change has become a fact of life," says Mr. Vimercati. "The ability to change one business model is driven by creativity and a structured approach to innovation. With this year's theme and programme we aim to inspire leaders in the self-adhesive label industry, to embrace change in order to secure future success," says Jules Lejeune, Managing Director FINAT. Delegates will learn from experienced international speakers coming from in- and outside our industry, to actively participate in the dialogue about change. Programme Finat Congress 2011 : 'Embrace Change, Enjoy Success' On the first day (June 8th), Alessandro Garofalo and Leanordo Benuzzi, Idee Associate (I), will challenge participants to uncover their own creative potential during an interactive workshop. Congress moderator on duty is Paul De Ruijter, De Ruijter Strategie (NL). Keynote speaker on day two (June 9th) is Marcello Lunelli, Vice President of the winery Ferrari Spumanti (I) on 'Innovation by Excellence'. Following is Jules Lejeune, who traditionally brings an annual review of the European label stock markets. Alfredo Pollici, GIPEA President (I), representing the hosting label association, provides insight in the current status on the Italian label market. In the afternoon, Jan Erik Baars, Design Strategy Manager, Deutsche Telekom, explains how to innovate through design thinking. And Sahar Hashemi, one of the UK's most inspirational female entrepreneurs and brand builder of Coffee Republic and Skinny Candy, shares her experience on how to implement an innovative and entrepreneurial mindset in corporations. Record Number Award Entrees "We received 355 award entrees this year," says Lejeune. "This is an absolute record in the history of the Finat label award competition and we see this as a confirmation of returned confidence and positivism in our industry. On the evening of day two there is the much appreciated award ceremony, celebrating the winners of the Finat 2011 Label Awards and Congress Logo Design competition. 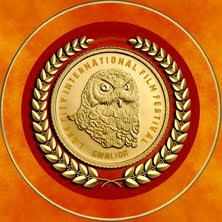 As always, the Finat 2011 label award winners go through to the finals of the World Label Awards. On the Friday, June 10th, and closing day of the Finat congress, John Hickey, Smyth Companies and former chairman of the board at TLMI (USA) reflects back upon a 134 year old history as a family business without succession planning. How to safeguard the future of family owned label converters is currently a major concern and responsibility of the younger generation. Following Hickey's presentation, participants are invited to the industry round table, featuring a panel of thought leaders, including Geoff Martin (CCL Label) and Rik Olthof (Cartils Brand Consultancy). Keynote speaker Miles Hilton-Barber (UK), adventurer, concludes the day with a very inspirational session on how change can affect an individual and his working environment based on his personal insight gained during extreme endurance events. Daetwyler named American representative for Unger Products.. The Max Daetwyler Company is now the exclusive representative in the Americas for UNGER Press Products, a favorite of the Offset industry. Daetwyler will offer the highest quality, longest lasting cutting knives, circular slitters, folding tools, pin screws, cutter bars, as well as cutting and transport rings. We also offer serrated knives of all designs for cross cutting and perforation, as well as for punching paper and foil and packaging materials. All press parts are made of highly alloyed steels and can also be supplied with special coatings to meet your most demanding requirements. "Daetwyler is absolutely thrilled to be the sole supplier of Unger Products in the Americas," says Tom Long Daetwyler's Offset Sales and Product Manager. "This is a big step for our company since historically we have serviced the gravure and flexo markets with our doctor blades. Offset is a new adventure for us and this partnership with Unger will be a great first offering. Both companies have a great name in the industry and together we hope to bring innovation to the marketplace." Environmental Inks is the largest ink supplier to the narrow web label market in the U.S. and Canada. Environmental Inks serves all segments of the packaging and label manufacturing industries with the finest water-based, solvent-based and energy curable inks and coatings. Environmental Inks is known for fine products, exceptional and technical service, knowledgeable technical sales representatives and consistent high quality. Color-Logic develops color communication systems and software tool sets for a variety of special effect printing applications. Color-Logic provides brand owners, product managers, corporations, and their advertising agencies the ability to differentiate themselves and their clients with a simple print production process that yields dramatic results. Color-Logic special effects utilize the existing workflows of printers and designers, yielding dynamic results without the use of special equipment. Color-Logic supports the value of print and works with designers and printers to enhance their printed media. 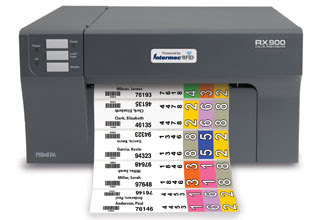 The world’s first on-demand color RFID label printer- RX900 is now being shipped..
Primera Technology, Inc., a leading manufacturer of specialty printers, has now started shipping its new RX900 Color RFID Printer. RX900 is the world’s first and only full-color, on-demand label and tag printer that also has built-in RFID encoding technology. The RFID reader/encoding module is supplied by Intermec, a global leader in RFID technology. It is compliant with EPC Global Gen 2 Class 1 and ISO 18000 –b and –c specifications. RX900 is a true "on-demand" printer, which means that it prints, encodes, verifies and dispenses labels one at a time. You can make exactly the number of full-color labels you need when and where you need them. The built-in UHF reader/encoder module, supplied by RFID industry leader Intermec®, supports ISO 18000-6B, ISO 18000-6C and EPC Global Class 1 Gen 2. 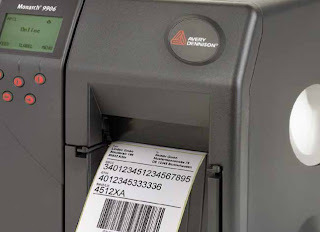 The printer is thus ideal for producing full-color, RFID-enabled labels and tags for file folders, asset tracking, garment tags, shipping labels and much more. Labels from 1" (25.4mm) wide up to 8.5" (216mm) wide can be produced. An adjustable antenna position and variable gain settings allow you to precisely aim the RFID signal, ensuring that only one label at a time is written. Wristbands – with full-color, high-resolution photos of patients and patrons and integrated RFID for tracking, positive ID and concessions. Printer drivers are included for Windows XP/Vista/7 along with NiceLabel SE for Primera and a starter version of Seagull Scientific’s BarTender label design/RFID software. Avery Dennison Retail Branding and Information Solutions (RBIS) have extended its table-top range with the 9906 printer, which is claimed to be more energy efficient. The 9906 meets published Energy Star compliance standards by shutting down automatically after a period of inactivity – saving energy and reducing greenhouse gas emissions. The new printer is suited to product identification and compliance labeling in a logistics environment as it is both compact and robust. Dynamic dot shifting technology allows extended print head life and reduces downtime and errors, resulting in improved overall productivity, increased return on investment and reduced total cost of ownership. Flexible connectivity options, including Ethernet, Wi-Fi and USB, easily integrate into existing computer systems, providing a streamlined process and saving time. 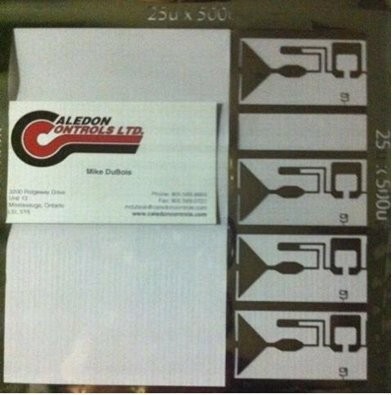 Caledon Controls Ltd. introduces a CLEAR conductive PET film..
Caledon Controls Ltd. introduced a CLEAR conductive PET film using the PDIM metal deposition techniques developed by Vast Films at the IDTECHEX Printed Electronics show held in Santa Clara. PDIM (Pre-Deposited Images in Metal) is a PET based film available in thicknesses ranging from .0005" to .010" with electrically conductive graphic or circuit images "deposited" onto its surface. The fine line resolution capabilities of PDIM allows for conductor traces down to 10μm in width to be laid into a grid pattern allowing over 90% clarity. Available conductors are aluminum, copper, silver or nickel. With Aluminum as the conductive material, sheet resistivity on the grid of 10Ω∕□ or less have been demonstrated. Copper or silver as the deposited metals would further improve conductivity. Because of PDIM's unique metal deposition technology, the ability to incorporate graphics or circuitry within or bordering the grid is possible. This negates the use of a separate circuit and its interconnection. Complexities can be additive built using various dielectric and conductive inks and processes that Caledon Controls offers. Interested parties at the unveiling were RFID, PV cell, OLED, Touch screen, Smart Window and many other manufacturers. Euro Plus, developer of NiceLabel printing software solutions, is pleased to announce the appointment of Ken Moir, formerly of Zebra Technologies, as its Marketing Director. Ken brings over 20 years of experience of the AIDC industry to the NiceLabel Team. He will take charge of the marketing and product management departments, support strategic alliances and business development. 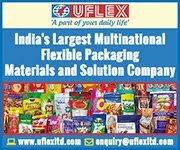 He will also implement strategic marketing activities worldwide, strengthening the presence of Euro Plus, its subsidiaries, and NiceLabel in international markets. Headquartered in Kranj, Slovenia; Euro Plus is one of the world's major software and service providers in the area of Automatic Identification Data Collection. The company is recognized for its state of the art labeling software and true Windows for thermal printers. As a Microsoft Certified Partner, SAP Certified Partner and Oracle Certified Plus presents a perfect business opportunity for all companies searching for a highly capable and partner for future business. Inland Label, headquartered in La Crosse, Wiscosin, reports the installation of its second Speedmaster XL 105-8+L with CutStar in-line sheeting unit, aqueous coater, Prinect Press Center with Intellistart operator guidance system, integrated Wallscreen, and Prinect Inpress Control color measurement. Except for the upgrade to the in-line Inpress Control, the new press is identical to the company's first Speedmaster XL 105, installed in 2008. "We were very happy with the dramatic improvements in our quality, speed, and efficiency with the first Speedmaster XL 105," said CEO Mark Glendenning, citing the closed-loop color system, superior registration at high speeds, and the ability to print at 300-line screen. 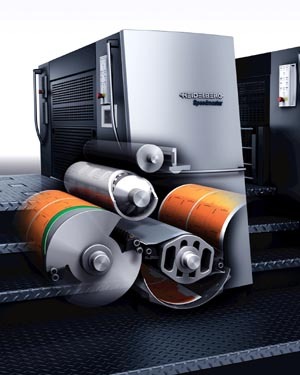 "This time around, we performed all of the necessary due diligence by evaluating a range of press platforms, but returned to Heidelberg because we were convinced that for the label markets we serve, there is no better technology available. Owning two of these presses-both equipped with the CutStar roll sheeter-enables us to offer customers the cost benefits of web offset and the flexibility of sheetfed offset, in addition to further improvement in our color quality and even faster turnaround times." Inland offers a wide range of home-grown and proprietary ink and coating systems, most of which are highly engineered and developed specifically for individual customers. Accordingly, the new press is outfitted for future upgrades, including completely integrated components for alternative ink systems such as UV. With the new XL 105 slated to be up and in production by May, explained Vice President of Operations Guy Billing, "We already have initiated extensive cross-training to maximize our manpower and make sure we have the personnel available to crew both presses across three shifts per day or whenever our workload calls for it." The new installation positions Inland Label to handle a growing volume of package decoration projects, especially as the company navigates a large-scale shift in demand from paper to very lightweight film labels, primarily from customers in the beverage, food and consumer product markets. Product offerings include cut and stack, pressure sensitive, roll-fed, injection in-mold and blow mold labels. 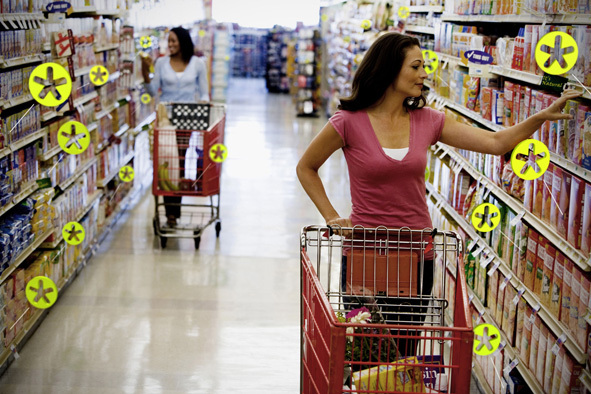 The company currently produces more than 20 billion premium offset and gravure-printed package labels annually. Inland's second XL 105 will enable the company to take on additional capacity and continue to grow, Glendenning said: "The packaging industry is vastly different than it was just a few years ago. We have every intention of continuing to invest in new technology to ensure that we maintain our leadership position the label market." Pamarco Global Graphics announces retirements and additions..
Pamarco Global Graphics Flexo Division, following the retirement of two key employees, have named Nick Walker as General Manager of their European operations and Don Fiedler as Plant Manager at the Batavia, Illinois anilox roll manufacturing facility. The two men are replacing Paul Williams, who has been with the company for over twenty years in the UK and John Clinton, also a long-time employee at the Batavia facility. Nick Walker comes from an extensive career as a business and marketing manager in the manufacturing sector. He has a proven track record of success in a leadership role and will make an exceptional addition to the company’s European team. Don Fiedler began his career in manufacturing over fifteen years ago and prior to coming to Pamarco worked with General Motors and Harley Davidson assisting in some key product launches for both companies. His unique skill set will be an asset to the company. Avery Dennison Label and Packaging Materials launched the Avery Dennison Brand Experience Contest, which will challenge designers to use originality, imagination and skill to deliver a unique brand identity from bottle to shelf for five products, including children's juice, red wine, organic coffee, salad dressing and shampoo. In addition to receiving international recognition on TheDieline.com, the world's number one package design website, each of the five winners will receive their award at The Dieline Package Design Conference in Chicago on June 23, 2011. As title sponsor of the contest, Avery Dennison will display the winner's work in the Brand Experience Contest booth. 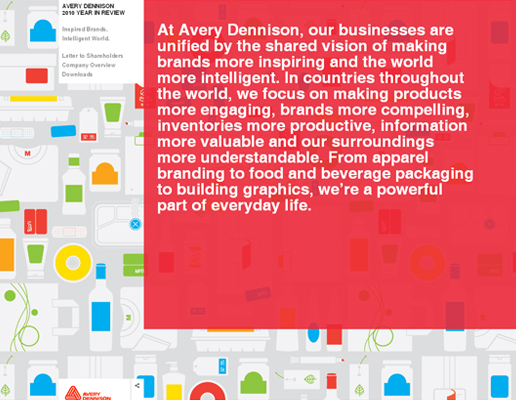 Additionally, Avery Dennison will create a Look Book that will be shared with 2,000 global consumer packaging brand owners. Each winner also will be given a chance to make a difference through a $1,000 donation in their names to an international charity. "The Brand Experience Contest not only opens the door for package designers to express their creativity and skill," says Jon Maley, global vice president of marketing for Avery Dennison Label and Packaging Materials. "It also offers a valuable opportunity to gain significant visibility with peers around the world." Entries will be judged by a panel of package design leaders, including Joe Duffy, principal and chairman, Duffy & Partners; Andrew Gibbs, founder and editor in chief, TheDieline.com; Christine Mau, brand design director, Kimberly-Clark Worldwide; Gerardo Herrera, director of packaging, Art Center College of Design; Dave Scheumann, owner and creative director, CFNapa Brand Design; Todd Simmons, executive creative director, Wolff Olins New York; Audrey Saberi, art director, Coffee Bean International; and Laura Clark, global marketing director, food and beverage, Avery Dennison, and Renae Kulis, global marketing director, health and beauty, Avery Dennison. 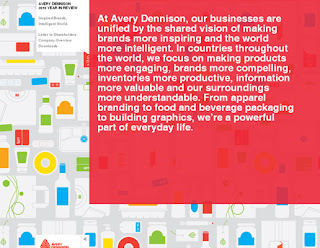 Avery Dennison helps make brands more inspiring and the world more intelligent. For more than 75 years the company has been a global leader in pressure-sensitive technology and materials, retail branding and information solutions, and organization and identification products for offices and consumers. 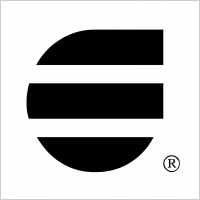 ‘Dedicated to offering quality products manufactured to high European influenced technical standards along with experienced personnel and a high speed modern manufacturing facility, SAScoat offers label converters a new sourcing opportunity for their pressure sensitive requirements,’ said the company in statement. SAScoat’s main manufacturing plant in the south of Vietnam is equipped with the latest coating equipment that caters for a multitude of labelstock products. The highly technological set up of the 15,000 square meter plant also enables label converters, business forms printers and web finishing companies to not only have access to standard labelstocks and adhesives but to obtain non-standard products and bespoke constructions throughout the region. SAScoat’s laboratory oversees both on and offline quality assurance of the production processes and supervises conception of labelstock through to the actual dispensing and application of final labels. The company says it is the largest laboratory of its kind in the Asia Pacific region dedicated to the development and enhancement of existing labeling systems. 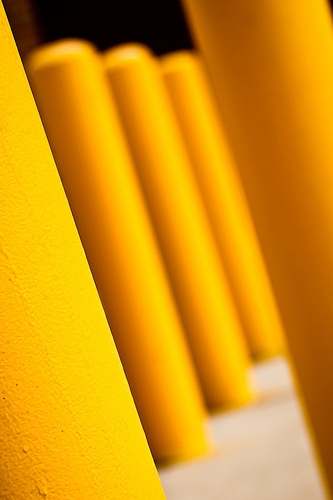 All products manufactured by SAScoat are solventless and water-based. SAScoat’s main energy source is LPG and the company runs and maintains its own water treatment systems. 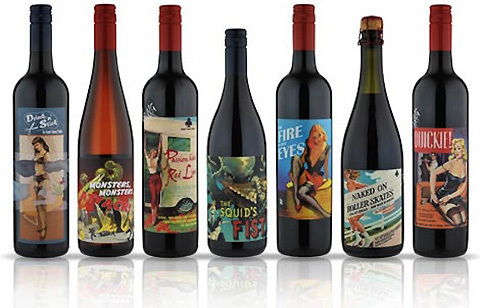 Wine labeling is one of the most dynamic niche markets today for all the product identification and decoration technologies – with pressure-sensitive solutions enjoying the most significant growth today and forecast to continue to take an increased market share around the world. 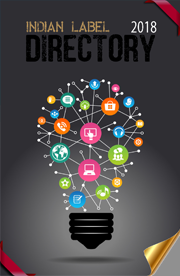 The timely publication of AWA Alexander Watson Associates’ latest analysis of the wine labeling market, the AWAreness™ Report ‘Global Wine and Wine Label Market & Technology Review 2010’ provides an up-to-the-minute overview of the opportunities. Label producers, material suppliers, and the wine producers themselves can benefit from the content of this new report from AWA Alexander Watson Associates – an international publishing and market research company whose specialization and expertise in the labeling market as a whole extends over many years. Outlining the overall structure of the global wine market and its defined geographical regions, the report drills down into wine labeling in those regions; growth drivers; and threats and opportunities. It details the available wine label materials and formats, and goes on to examine the available product decoration technologies in partnership with today’s chosen packaging styles, from glass and plastic bottles to aseptic cartons, metal cans,, and pouches. Wine label converting is also covered, and the report concludes with a directory of suppliers of label materials and labels. Full details of the AWAreness Report ‘Global Wine and Wine Label Market & Technology Review 2010’ are available via the AWA Alexander Watson Associates website (www.awa-bv.com), where it is also possible to order online and browse information on related reports in the AWA portfolio. X-Rite & Pantone to hold Color Management Seminar for Printing and Design Professionals in New York now..
X-Rite, Inc., the world leader in color management, measurement and communication technologies, and it’s wholly owned subsidiary Pantone, the global authority on color and provider of professional color standards for the design industries, has announced a new educational color management seminar. Targeted at printing, packaging, pre-press, and graphic design professionals the two-day, the modular seminar that opened in Chicago on March 29th and 30th, will now travel to New York City on May 17th and 18th. Topics covered will address all aspects of color management, from process control and pressroom workflow, to color control for designers, spot color management and how to improve display to print matching. 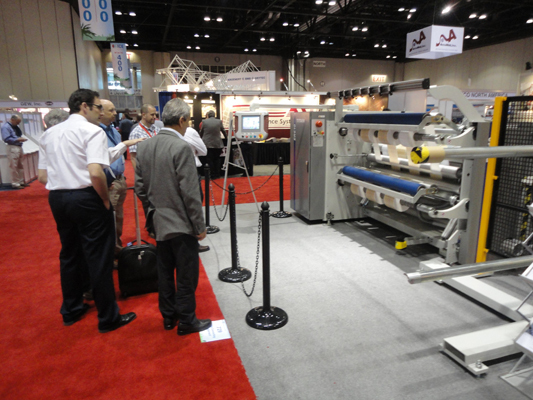 The first session will cover Offset press process control with a particular focus on process color. Ideally suited for sheet-fed or web offset quality assurance managers, prepress professionals, production supervisors, and press operators. The Post lunch session will include Flexographic press process control with a particular focus on packaging and spot colors, including Pantone. Ideally suited for flexographic quality assurance managers, prepress professionals, production supervisors, and press operators. "These two half-day sessions are designed to help attendees gain better control of all the variables that can affect color quality on press. We will discuss press conditions, plate quality control and why it is so important to look at measurements beyond just density to truly control color. We will also provide basic troubleshooting guidelines to deal with measurements that are out of spec," explains Murphy Keeley, VP of Services at X-Rite. Day 2: "Color immersion: an in-depth look at color management for creative/design professionals." Led by Pantone color experts, this full-day session is ideally suited for wide format printers, sign-makers, prepress professionals, graphic designers and commercial photographers. Attendees will learn all aspects of color management from design through prepress. Topics will include "How to Work with Cameras for More Accurate Color", "Display Calibration to Improve Color Editing", "How to Get better Display-to-Print Matching", "Proper Use of Pantone Colors in your Files", "Color Management Setup in Adobe(R) CS", "Preflighting for Different Output" and "Producing Color-Accurate Proofs that Match Your Press". "Print buyers and brand owners are becoming more demanding in their color requirements. With tighter margins, wasted time and materials are not acceptable. Improving turn-around speeds with better color and less waste is more important now than ever, and mastering the tools and methods to manage color is critical in all areas of production, from file creation all the way to the pressroom. Leaders in the printing and design industries are recognizing the need for quality color management education, and to fulfill this demand, X-Rite/Pantone has put together this very comprehensive course," comments Murphy Keeley. To register and obtain further information about this seminar, log on to www.xrite.com/processcontrol and www.pantone.com/immersion. Seminar attendees will be entitled to enter a free drawing at the end of each day to win one of X-Rite's award-winning i1 Solutions on day 1, and a CAPSURE color-capture device on day 2. X-Rite is the global leader in color science and technology. The company, which now includes design industry color leader Pantone, Inc., develops, manufactures, markets and supports innovative color solutions through measurement systems, software, color standards and services. X-Rite's expertise in inspiring, selecting, measuring, formulating, communicating and matching color helps users get color right the first time and every time, which translates to better quality and reduced costs. X-Rite serves a range of industries, including printing, packaging, graphic design, and many other industries.